Hello and welcome. My name is Pam. 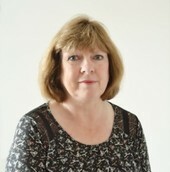 I am counsellor working in Private practice in the South Hams and the Plymouth area. I have worked in a range of settings within the NHS, private and voluntary sector which have included terminal illness, dementia, mental health and unresolved grief issues/bereavement. Many of us go through periods when life seems to lose its meaning. Memories of the past, painful events in the present and worries about the future can all make it difficult to cope with everyday life at times. Are you feeling stressed, worried, low in mood, anxious, angry and unsure why? You might find counselling could help. Counselling offers you a safe, confidential place within the requirements of the law to talk about your life and anything that may be confusing, painful or uncomfortable. Counselling is not about giving advice. It is a non-judgemental place for you to be heard, to enable you to explore your own issues and find a way forward. Making the first step is never easy. If you decide you are ready to make the first step I offer the first meeting at a reduced rate of £15. This is an opportunity for us to meet and decide whether my services are of help to you and if you want to make an appointment to start counselling. There is no obligation after the first meeting to book again as many people like to think about their choice of counsellor before deciding. If you think we can work together I will work with what you bring to the counselling space. There is a free parking area if you chose to travel by car or there is a bus service that is nearby. Fees: Initial meeting £15 for an hour. I am an Integrative Counsellor and Supervisor. I work in Private practice in Plymouth and the South Hams area. I offer supervision to qualified counsellors, students and practitioners from other professional backgrounds in the caring profession who might be seeking a space to reflect on practice. I have always found supervision to be beneficial for myself for self-reflection, personal and professional development and self care. It provides a safe space to discuss work related issues, to recharge the batteries and to monitor ethical decisions in a non-directive, supportive yet challenging way. My approach to supervision is a collaborative one with the aim to work with you as an individual to enhance your practice. Supervision is vital to enable the counsellor or health professional to give the best possible service to the client. If you would like to meet to discuss your requirements then call me to arrange a meeting or to talk on the phone. Fees: £35 per hour and £50 for 90 minutes. Reduced rates available for trainees.